Do you have a weird nook or an awkward space where it seems like nothing will fit unless its custom? Well I do! I have spent way to much time trying to figure out what the builders were thinking when they made this little curve in the wall. I got very lucky with the little cabinet that used to be here. It was the PERFECT width, length, depth everything! Until it got a new home.... So this wall has been empty for quite sometime now while I looked for a replacement. 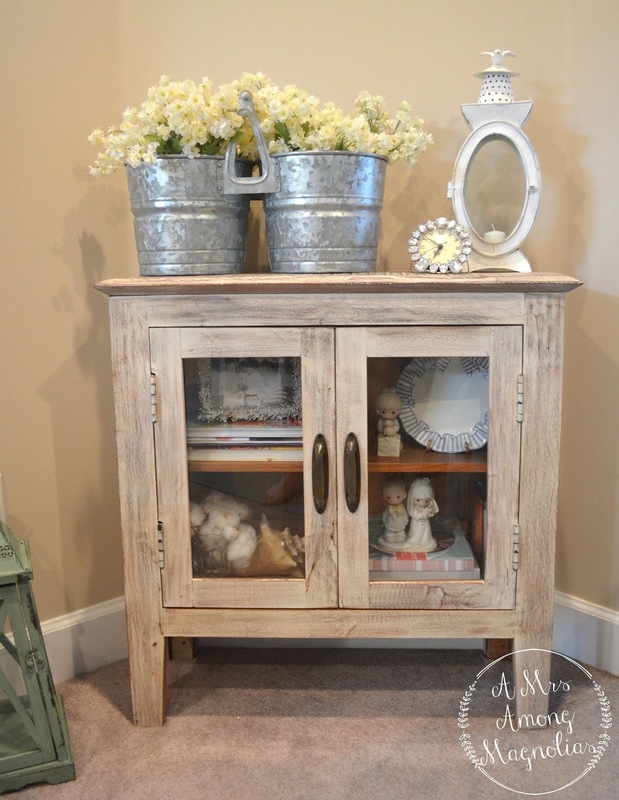 Here is what this little corner looked like before. 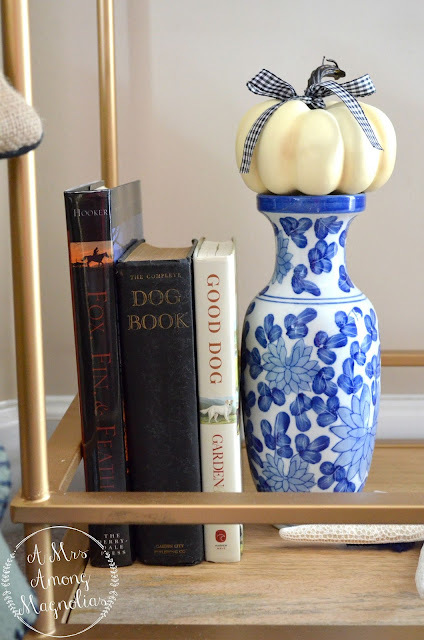 All the bar cart inspiration popping up everywhere, got me to thinking that one of those would be the perfect size and thankfully I was right! Target was running a sale a few weeks ago and I was able to get the last one that my Target had. 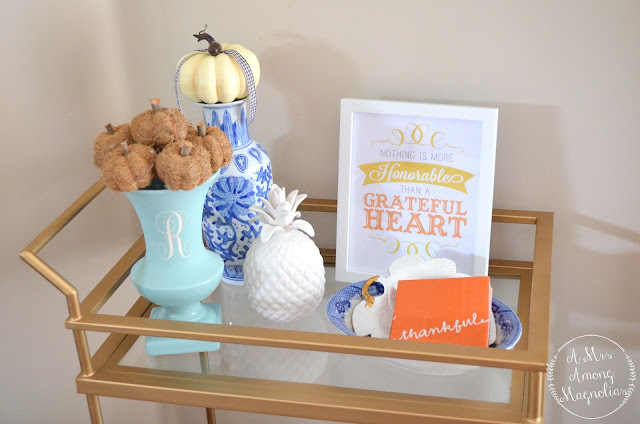 The saying on this printable is just perfect for a season of thankfulness! 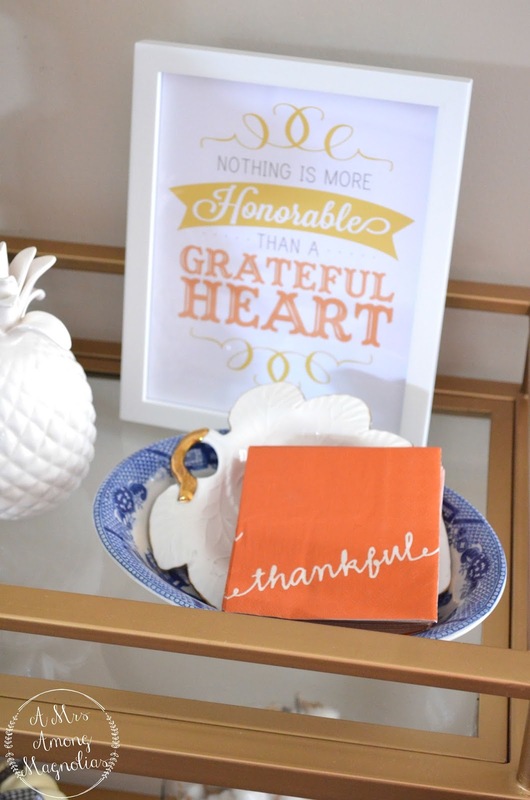 I don't decorate for Halloween, so our decor is mostly just fall with a little Thanksgiving thrown in during late October and November. I do a lot of shopping at Marshalls, Home Goods and TJ Maxx. 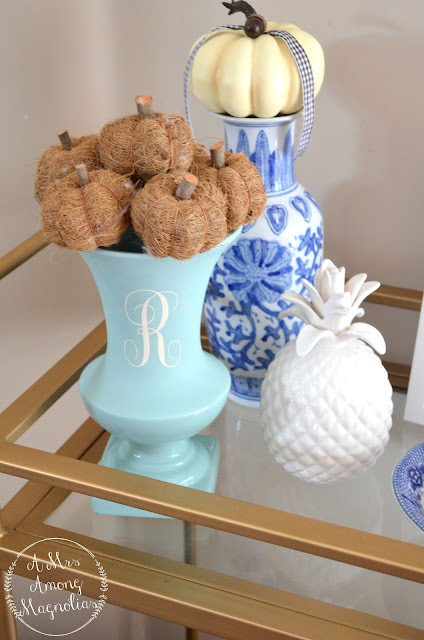 The aqua vase is from Home Goods, the burlap pumpkins are from TJ Maxx, and the white and gold leaf plate is from Marshalls. I love having a well decorated house, but I also don't want to spend our life savings doing that! 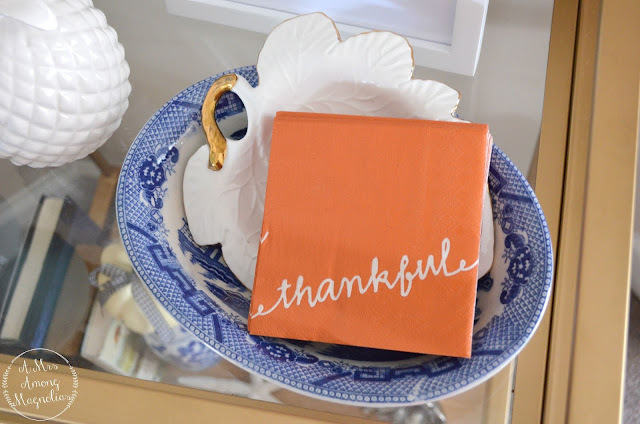 These cute thankful napkins were a find from Michaels. I love the little tough of orange between the napkin and the printable. 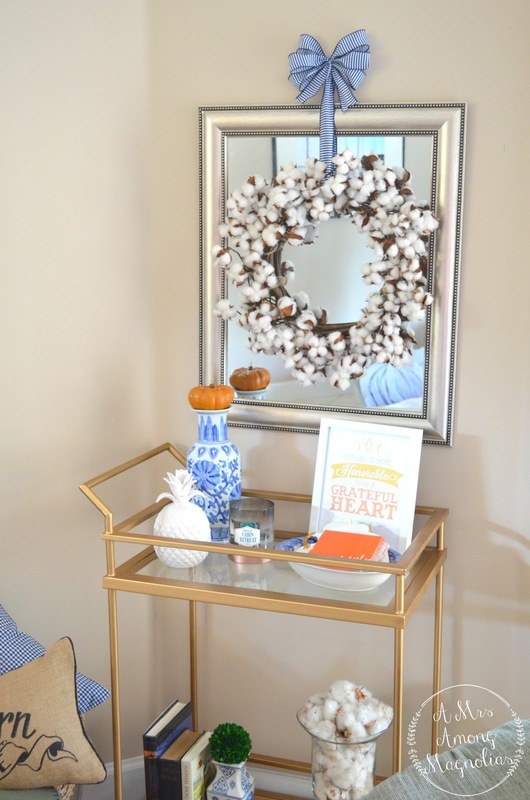 I had added a mirror over it with a cotton wreath. The mirror has a nice coat of paint coming in the near future once I can decide on a color. 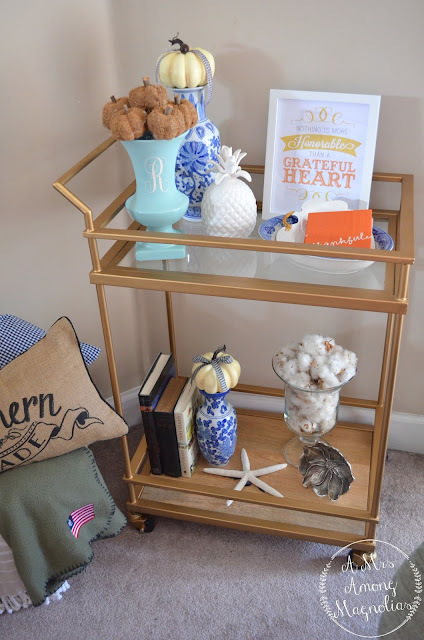 It is not quite styled like a typical bar cart, but I am loving how its been working out so far!